A new trailer for The Walk Dead: Final Season‘s upcoming episode has been released by Skybound Games. As previously announced, the third episode will be releasing on 15th January 2019. Following the sudden closure of Telltale Games, the future of The Walking Dead‘s final season was uncertain. However, Skybound Entertainment stepped in to take over, and are working to complete the series. As a result, Skybound Games have revealed that the third episode in the series will be releasing in January 2019. 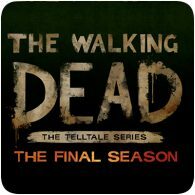 Just over six weeks after the release of Episode 1, Telltale Games is releasing the second episode of The Walking Dead: The Final Season. The upcoming episode is titled ‘Suffer the Children’, and will be available on all supported platforms on 25th September 2018. Checkout the trailer right here. The release date for Telltale’s The Walk Dead: The Final Season has been revealed, almost a year since the game was first announced. The fourth and final season will conclude Clementine’s journey, with the first episode in the season releasing on consoles and PC on 14th August 2018. A new trailer for the game has also been released (see below). Telltale Games has revealed that the second episode in Season 2 of Minecraft: Story Mode will be arriving this month. The new episode, titled “Giant Consequences” will release on all platforms on 15th August 2017. The new episode sees Jesse and the gang embark on a new adventure into the icy unknown. 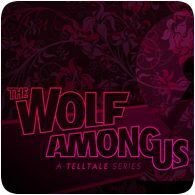 Telltale Games has revealed that The Wolf Among Us will be getting a second season, but you’ll have to wait until the second-half of 2018. Unfortunately, the exact release date for the first episode hasn’t been revealed. The announcement is long overdue seeing as Season One ended back in 2014. Telltale Games has announced that the fourth and final season in The Walking Dead series will be releasing on all major consoles in 2018. While details on the story have yet to be revealed as well as the number of episodes, you be sure that the it will continue with Clementine as the lead character. 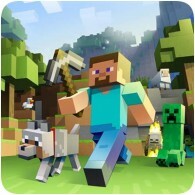 Telltale Games have revealed that Season 2 in the Minecraft: Story Model series will be starting on 11th July 2017. The second season will follow on from the first season, with Jesse and friends going on new adventures after s/he gets their hand stuck in a gauntlet. 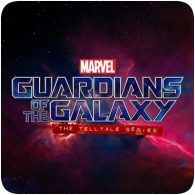 Telltale has announced that the second episode for its Marvel Guardian’s of The Galaxy game will be releasing next Tuesday, 6th June 2017. The second episode is titled “Under Pressure” and sees Star Lord and company scour the galaxy for answers on how to control the power of their mysterious new relic. 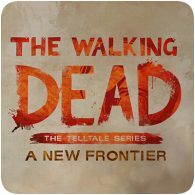 Telltale Games has announced that the final episode for The Walking Dead: A New Frontier will be released at the end of May. The fifth and final episode is titled “From the Gallows” will be available for download from 30th May 2017 across all platforms.